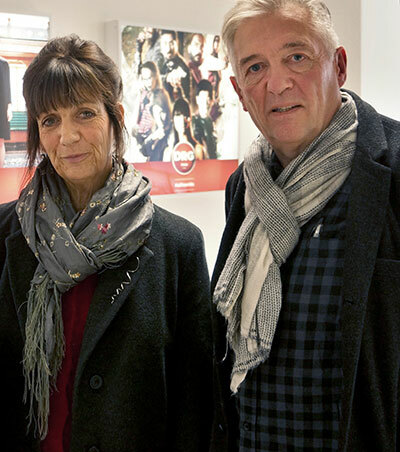 Former Holby City, Coronation Street and Taggart star John Michie joined director producer husband and wife team Jane Harris and Jimmy Edmonds at the London premiere last month for a Q&A hosted by Maria Ahern, Chair of The Compassionate Friends organisation. Having tragically lost his daughter, Louella Michie last year at the age of 25, John Michie is now an ambassador for The Good Grief Project, dedicated to understanding grief as a creative and active process. A Love Never Dies is a personal journey by bereaved parents Jane Harris and Jimmy Edmonds and a love letter to their son Josh. He died in a road accident in South East Asia seven years ago and they now honour him with their own journeys: to Vietnam and the place where he died, to Varanasi, India and a road trip across the USA, where they meet other families who have also lost a child, all of whom have found grief variously isolating, transformative yet ultimately life enhancing. It’s described as “a poetic film in a culture that is still uneasy talking about death, dying and bereavement”. The film aims to give a hopeful voice to grief in ways that will move and inspire.